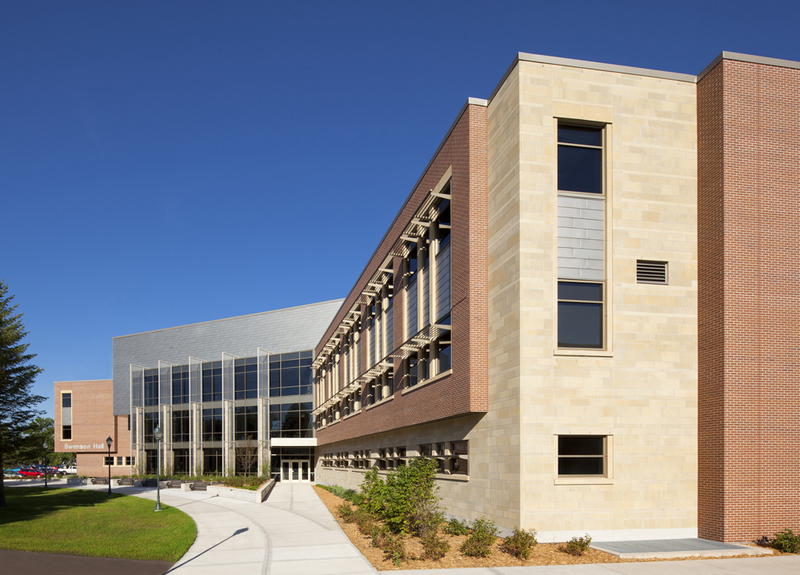 The new 147,000 square foot Swenson Hall is a dynamic structure with welcoming areas where students and faculty gather. It was built to handle today’s technology and be adaptable to handle tomorrow’s needs. 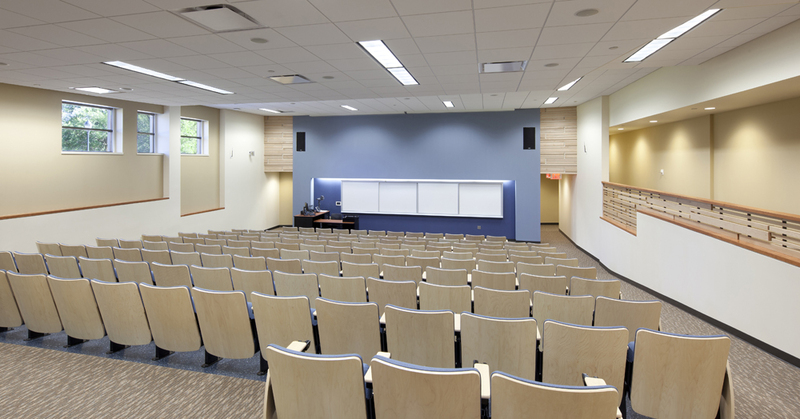 Swenson Hall includes 21 classrooms and labs with the latest learning technology and flexible layouts. 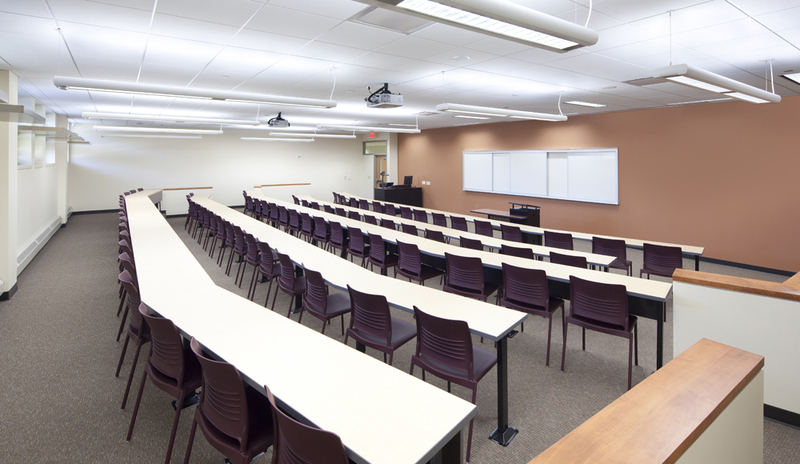 Offices for eight academic departments and faculty locates professors close to their classrooms, enabling them to spend more time working with students. Several student services are located in the building. 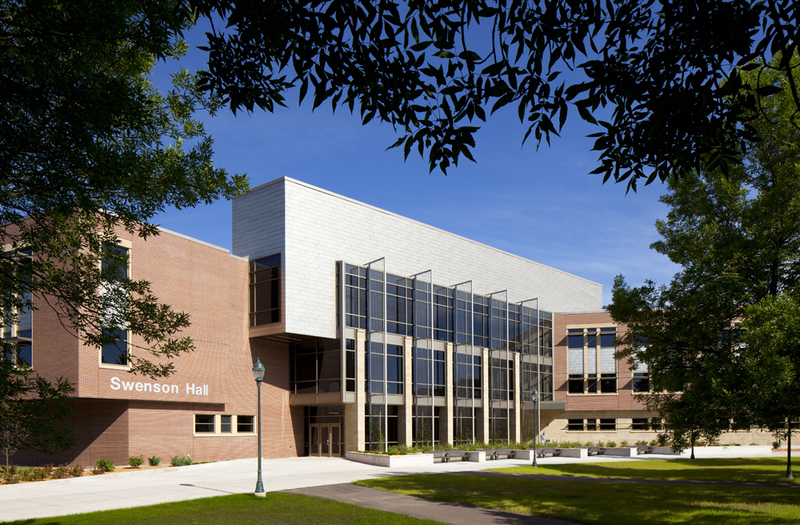 Swenson Hall was built with energy efficiency in mind, maximizing the use of natural light. 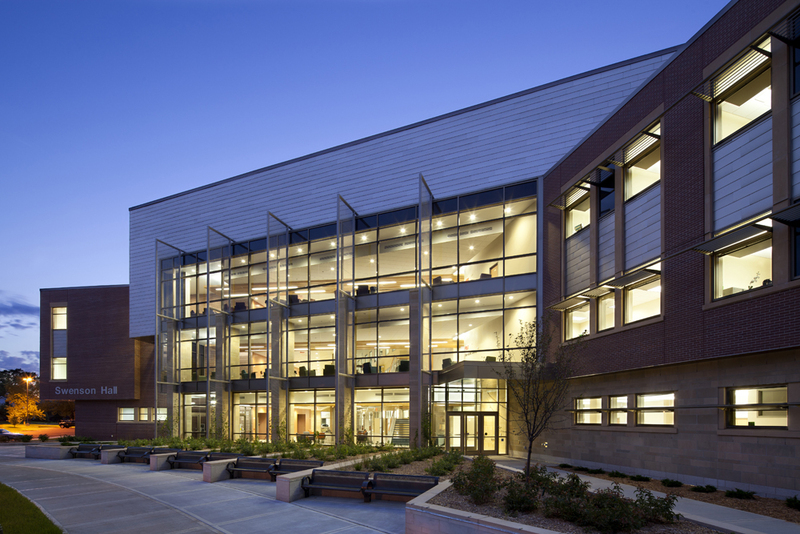 The buildings’ north and south wings are joined by a “light well” that brings natural light into the building. 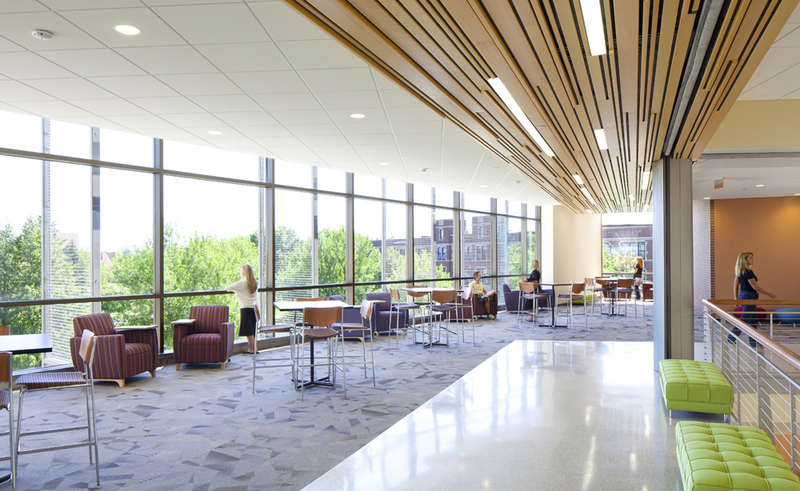 The light provides an attractive, open lobby that invites students to linger by providing areas to study, work in small groups, and meet friends, all resulting in a facility that is healthier for users and the environment.